So you love the idea of a smart home, but aren’t yet a homeowner? Invasive construction sounds like a violation of your lease, expensive, and time consuming, and the only option to create an integrated smart home. For many, especially in New York City, renting an apartment is just a part of life however your lease doesn’t actually require you to sacrifice your dream of a home that is happy you are home. Many new apartments now come equipped with individual systems or are wired for the intention of their eventual installation. Cabling leads into a discreet closet and allows you to hide all of the equipment out-of-sight and out-of-mind. 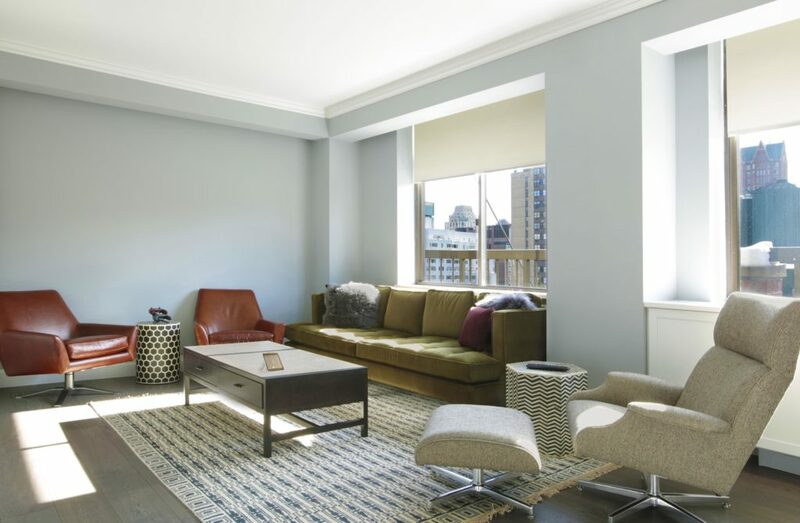 Apartments are often even prewired for motorized shades and for top of the line network infrastructure. Some apartments come with Nest and Lutron systems already in place, yet still, this isn’t quite the unified smart home you dreamt of. We often work with Control4 not only for its ability to communicate with every popular system available on the market from Lutron, Sonos, Nest, and even the Amazon Alexa, but also its extremely simple and convenient interface. Rather than bouncing between apps to set the mood,Control4 allows us as professionals to customize the technology in your home to operate in harmony with pre-existing systems and to your lifestyle. Rather than install an in-wall panel, the Control4 tablet – aka your command center, is perfect for the renter. You can move it from room-to-room or pick a go to spot where it will live. Alternatively, access your system from the app anytime and from anywhere you are or while you are home, just tell ‘Alexa’ to do it for you. Sound is often a chief priority for anyone who wants an excellent and immersive entertainment experience. Rather than break open walls to install architectural speakers, Sonos provides an excellent solution. 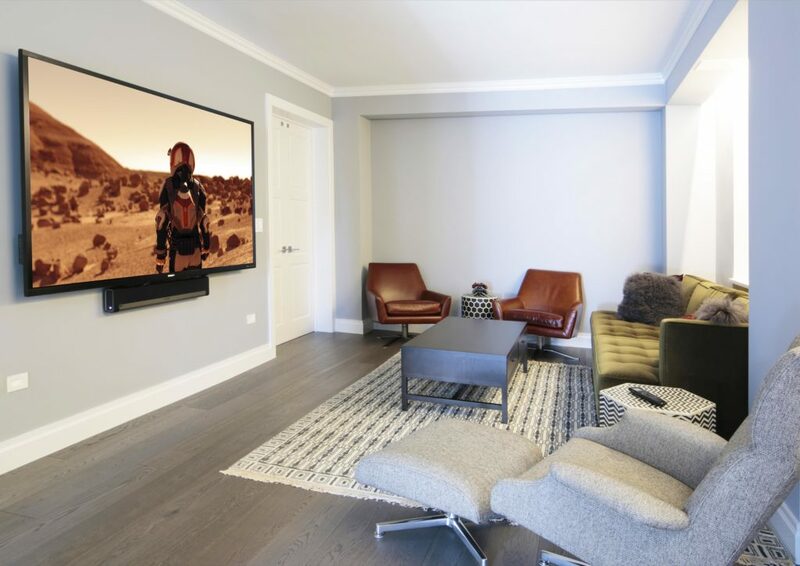 From sound bars to tabletop speakers and dedicated subwoofers, construction that was once viewed as a requirement for the smart home audiophile is now simply just an option. 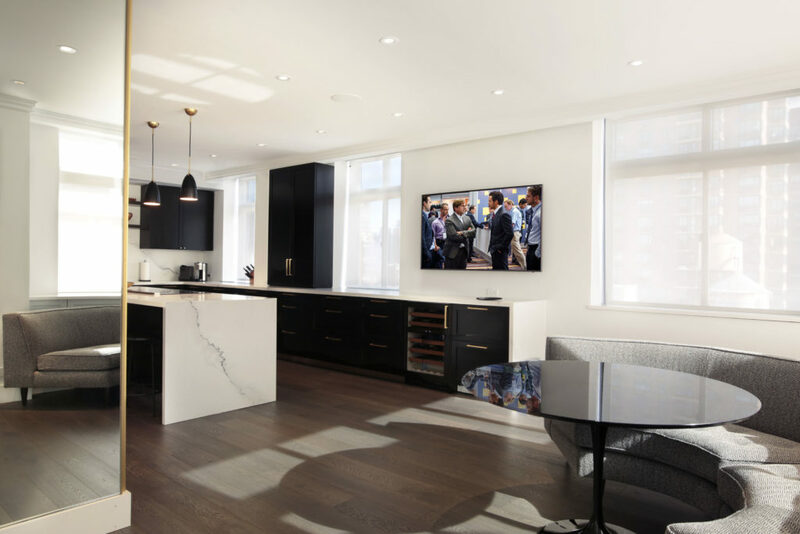 To swap out the conventional dimmer and install the Lutron RadioRa2keypads allows us to retrofit an older apartment with smart lighting solutions without invasive rewiring. 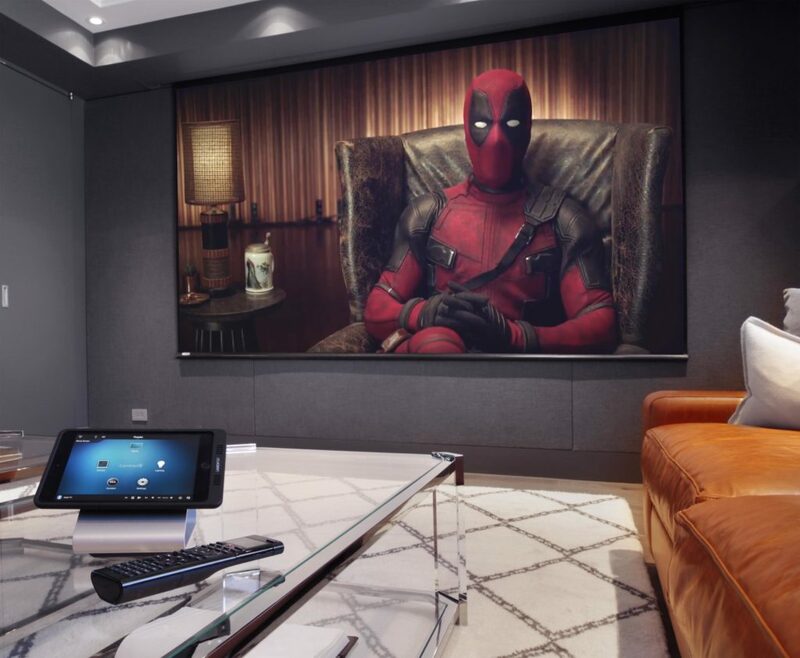 Customized scenes designed by us and built for you now include the perfect lighting and sound. Home automation is more than a cool gadget or two, but a lifestyle, one that is able to easily adapt to you and your needs. We believe that home automation is not a one-size fits all, but a customized solution to every day needs that vary from individual to individual, lease to mortgage, young to old(er).